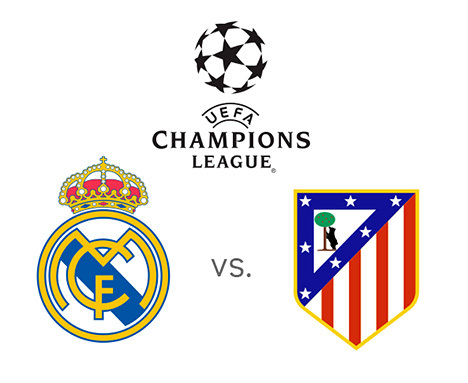 Real Madrid and Atletico meet in the UEFA Champions League final on Saturday, May 24th, 2014 in Lisbon, Portugal. Real Madrid finished first in a group featuring Galatasaray, Juventus and Kobenhavn and then went on to eliminate Schalke, Borussia Dortmund and finally last year's champions, Bayern Munich. Out of twelve games played in this season's UCL, Real Madrid won ten, drew one (vs. Juventus in Turin) and lost one (to Borussia in Dortmund). Cristiano Ronaldo, who set the new UCL goal scoring record this season, looks set to play on Saturday, despite a recent injury concern. Xabi Alonso is suspended with two yellows. In the Spanish La Liga, Real Madrid had couple of recent slipups, vs. Valladolid 1-1 and Celta Vigo 0-2, which, when combined, probably cost them the title. Atletico Madrid are riding high at the moment, having just won the Spanish league by holding Barcelona to a 1-1 draw in the final round of matches. Diego Simeone's team now have a chance of making history, by winning the team's first Champions League title. On their way to the final, Atletico finished first in Group G, ahead of Zenit, Porto and Austria Wien. 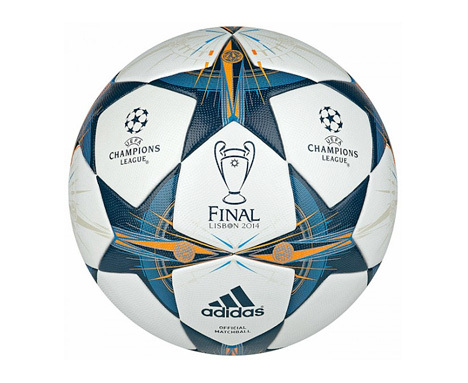 In the knockout rounds, Atletico eliminated AC Milan, Barcelona and finally Chelsea FC. Atletico Madrid are undefeated so far in the competition, with nine wins and three draws. Atletico will most likely have to do without their star striker, Diego Costa, due to a hamstring injury. The midfielder, Arda Turan, who also left the game vs. Barca early, looks to be fit enough to play in the final. According to the odds, Real Madrid are the favourites to win the game and to lift the UCL trophy for the tenth time in their history. The two teams have met four times already this season. In the league, Atletico won the first match at the Bernabeu with the score of 0-1, while the score at Vicente Calderon was a 2-2 draw. In the Spanish Cup semi-finals, Real dominated this season, by winning 5-0 on aggregate. In the last season's epic Copa del Rey final, Atletico Madrid won 1-2 in overtime. The upcoming match in Lisbon promises to be one for the books. Real Madrid and Atletico are the two best teams this season.